Profound, plainspoken, and brave, this is the story of an unjustly accused man, the lawyer who defends him, and the young girl who observes it all. 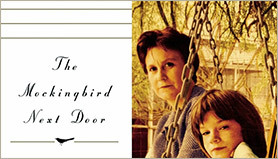 In this newly discovered novel, the earliest known work by Harper Lee, Scout Finch returns to her hometown of Maycomb, Alabama, to visit her father. Harper Lee was born in 1926 in Monroeville, Alabama. She studied law at the University of Alabama. 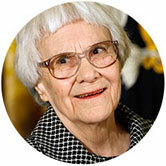 Her 1960 novel To Kill a Mockingbird was an instant bestseller and won the Pulitzer Prize for Fiction in 1961. 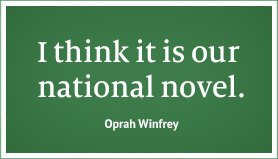 She has been awarded the Presidential Medal of Freedom and the National Medal of Arts. Call your local B&N for additional details. Teachers, join us for a special To Kill a Mockingbird events and trivia as part of Educator Appreciation Days. 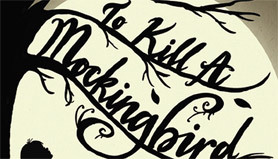 Join us at 7 p.m.
Join us as we discuss To Kill a Mockingbird in anticipation of the July release of Go Set a Watchman. First time readers, re-readers, families reading together and customers of all ages are invited to attend this dynamic book discussion. 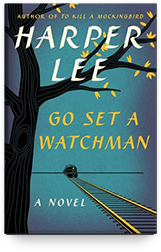 Customers are invited to join a lively discussion comparing the famous novel and its screen version in anticipation of the July release of Harper Lee's Go Set a Watchman. Come & discuss favorite parts of the book, scenes from the movie, famous quotes, or favorite characters. 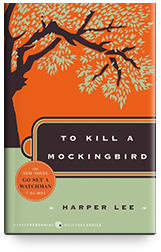 Join us in stores as we read the acclaimed novel, To Kill a Mockingbird from start to finish with special guest readers, including authors or local celebrities.